Sue Adair Wiley, age 76 of Franklin, TN passed away March 11, 2019 after an extended illness. Sue was born in Williamson County to the late Herbert and Gladys Kennedy Adair. 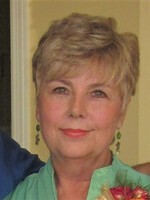 Sue was an office administrator for many years and a member of Mt. Carmel Cumberland Presbyterian Church. She is preceded in death by her husband of 57 years, Bobby Wiley who adored her and passed away on Jan 5, 2019, Her Brother, Kenneth Adair, Sister, Barbara Goodrich. Survivors include Sons, Darrell (Vicky) Wiley, Bob (Vicki) Wiley, Grandchildren, Luke Wiley and Halie Dittemore, Sister, Ann Goodrich, and numerous Nieces and Nephews. Services will be conducted 2:00 PM Sunday March 17, 2019 at Williamson Memorial Funeral Home with Jim Taylor officiating. Visitation with the family will be 4-7pm Saturday and one hour prior to the service on Sunday. Burial in Williamson Memorial Gardens. Active Pallbearers are Wes Sweeney, Will Sweeney, Bill Williams, Butch Dunnivant, John Wiley, Brent Dunnivant. Honorary Pallbearers, Matt Hoover and Kevin Adair.